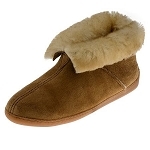 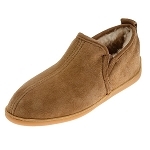 Minnetonka 3741 - Men's hardsole slipper in golden tan sheepskin. 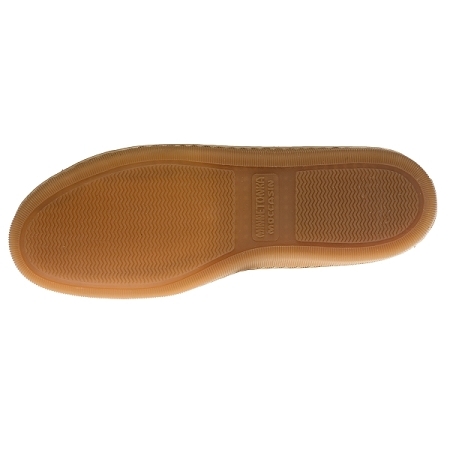 Fully padded insole for the ultimate comfort and an indoor/outdoor lightweight rubber Sierra sole for durability. 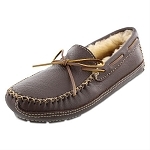 Wraparound laces for a custom fit and contrast stitching at the toe. 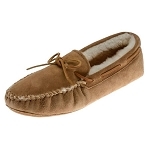 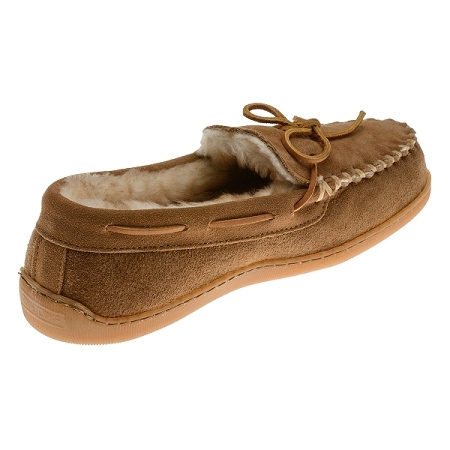 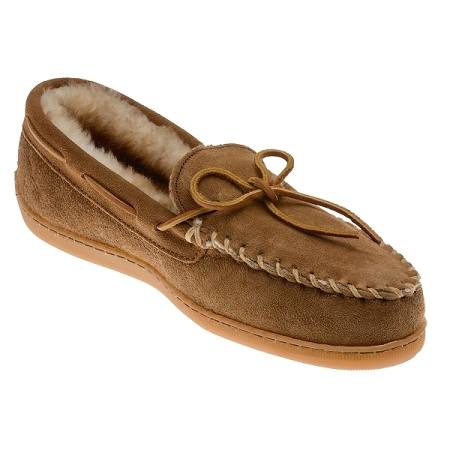 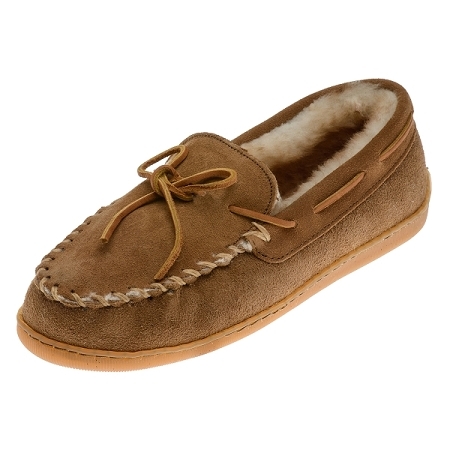 Timeless style meets lux comfort in theses classic moccasin slippers.